Please adhere to MLA style, using endnotes rather than footnotes, and include a coversheet with your contact information and a short (100-150 word) bio with your article submission. Please contain all identifying information to the coversheet. Feel free contact us at the email addresses listed below with any questions or concerns. You can find more information online at the following link, CFP: Illustration and Gender or please feel free to distribute the CFP to colleagues or graduate students who may be working at the intersections of nineteenth-century illustration and gender studies. The William Blake Archive is pleased to announce a new wing of the Archive, which contains searchable HTML and PDF editions of thirty-nine past issues of Blake/An Illustrated Quarterly <http://www.blakearchive.org/blake/main.html> published from 2000 through 2009. These issues are accessible via the second entry on the home page, just below “Works in the Archive.” The PDF versions present the journal as originally published, but the HTML versions are re-implemented with many full-colour images from the Blake Archive, making it possible for users to link directly to the Archive for those works that have been published in the Archive. This publication is the first installment of the Archive’s ongoing project of making freely available and fully searchable over four decades of past issues of Blake/An Illustrated Quarterly, thus making public some of the most important scholarly work done in Blake studies over the past half-century. Issues published within five years of the current issue will remain available only to those who subscribe to the journal <http://blake.lib.rochester.edu/blakeojs/index.php/blake>. volume, Romantic Visualities, edited by Theresa M. Kelley and Jill H.
new, objects and their ethical, political, and aesthetic stakes into view. panopticism, and slavery in the spectral formation of Romantic visuality. volume includes an editor’s introduction by Theresa M. Kelley and Jill H.
Kay Dian Kriz,, and Lucy Kamiko Hawkinson Traverse. Event Report: ‘The Artist and the Writer’, IES, 29th November 2014. 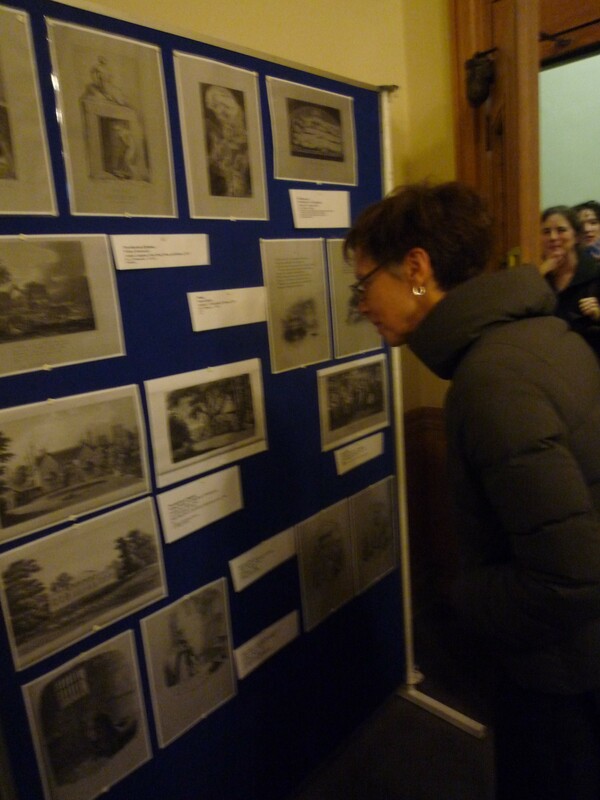 Supported by the British Association of Victorian Studies and the University of Roehampton. ‘The Artist and the Writer’, IES, 29th November 2014. 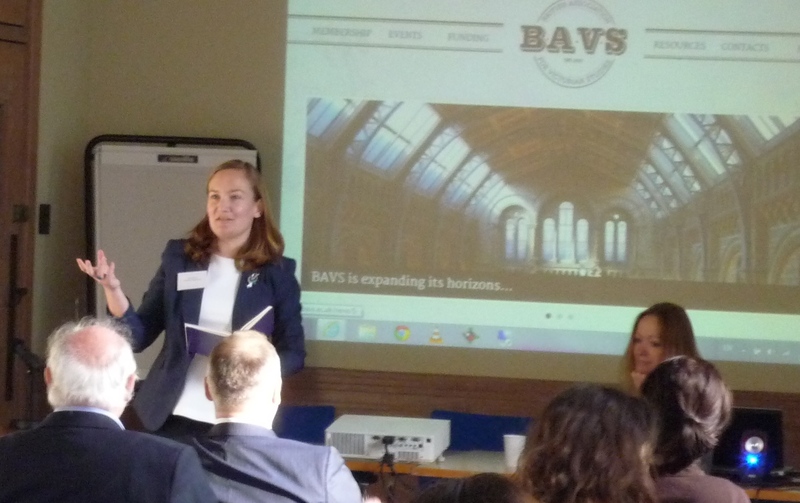 Supported by the British Association of Victorian Studies (www.bavs.ac.uk) and the University of Roehampton. ‘The Artist and the Writer’ at IES told a chronological narrative of the relationship between artists and writers c. 1750 – 1850, revealing the contrasts and connections in book illustration from the eighteenth century to the Victorian period. The day opened with Lynn Shepherd’s paper on ‘Illustrating Pamela’. Shepherd showed how the illustrations to Pamela by Hayman and Gravelot create a narrative with a significantly different perspective from that provided by Pamela’s narration. In the 28 illustrations – chosen on literary rather than visual grounds by Richardson himself – the ‘warm scenes’ are totally omitted. Mr B’s assaults therefore exist only in Pamela’s words and not in the third person visual narration of the illustrations. Lynn Shepherd read the images in terms of the pyramidal structures of contemporary conversation pieces, and also traced the gradual disappearance of barriers placing Pamela outside the class territory occupied by Mr B. The following discussion focused on the question of the kinds of visual literacy that readers might have brought to the task of reading the illustrations. Shepherd argued that those who had sat for portraits would have understood the visual languages of these images. Sandro Jung’s paper on ‘Thomas Stothard, Romantic Literature and the Illustrative Vignette’ took an ephemeral publication – The Royal Engagement Pocket Atlas – as a means to overturn some of the key assumptions of illustration studies, namely that illustrators focused on old canon works newly freed from copyright. Stothard’s more than 800 head vignettes for Baker’s annual diary featured illustrations to recent and fashionable authors, prompting purchasers to discuss their current reading. Baker followed Bell’s example in commissioning illustrations, but Baker made the decision to include recent poets not illustrated by Bell. Stothard, for instance, illustrated Crabbe, Byron and Scott, as well as Hayley’s Triumphs of Temper and Rogers’ Pleasures of Memory. Stothard’s recognizable visual style thus provided a branding device not just for Baker’s publication but also for the concept of literature. Jung argued that the Baker series offers a snapshot of consumer historical conditions. Tim Fulford presented the early nineteenth-century as a period of virtual travel, when travellers prepared themselves by visiting exhibitions and looking at engravings, and picture books changed what the Romantic poets published. Turning away from an earlier anti-picturesque aesthetic, and an earlier hostility about literary annuals, after 1818 Wordsworth and Southey repeatedly produced virtual topography, which functioned as guides for tourists. The new urban bourgeoisie craved reminders of the countryside they had left, and technical developments made illustrations increasingly affordable. Industrialization lowered the cost of paper, while from the 1820s the move to steel rather than copper engraving made larger print runs possible. The Lake District gained its name through the sale of books of engraved views which were more popular than verse. The Lake poets were therefore keen to foster links with artists and by the 1820s were working on jointly authored picture books in which poems were written to accompany pictures. In the following discussion William St Clair argued that we needed to follow the logic of two industries and two media, tracing the links between them. After a lunch sponsored by the British Association for Victorian Studies, and a visit to see some beautiful illustrated books in the Senate House library Special Collections (chosen to complement the day’s talks), Sophie Thomas traced the pre-history of the figure of the Bard in painting and illustration, from Thomas Jones’ the Bard (1774) via West, Sandby, Fuseli, Turner and Martin to the Bard in Blake’s illustrations to Gray and his painting of Gray’s Bard for his 1809 exhibition. Thomas’s paper on ‘Bardic Exhibitionism’ showed how Gray’s Bard appeared in Bentley’s illustrated Gray and reappeared in a lower illustrative mode in editions by Bell and Cooke, carrying complex meanings. In the final session on Dickens, Mary L. Shannon’s ‘What did Dickens learn from Romantic Illustration?’ argued that Dickens drew on the more recognizable figure of Cruikshank to establish his own public identity, creating a visual image which drew on the conventions of visual Byronism. Sadly, Ruth Richardson was unable to speak due to a bereavement, so more time was then devoted to open discussion. This ranged across author portraits, later images of Dickens and Victorian authors, continuities between the Romantic and Victorian periods, and links between theatre and visual culture. Anthony Mandal reminded us of the influence of Scott on Dickens, and Julia Thomas raised the significance of Luke Fildes’ watercolour tribute to Dickens, ‘The Empty Chair’ (1870). The day concluded with a sociable drink nearby, at which it was agreed that the lively atmosphere, high-quality papers, and the trip to Special Collections had all made the event enjoyable, varied, and successful.